We are loving Lanvin's line of chain strap bags this year. This tote is majorly on sale at Once Again Resale, this bag will not only bring you to fall fashion, but it will actually set a sumptuous fall and winter high-fashion styling on your totality. Lanvin. Rosa Tote bag from Lanvin, wearable during the day in the city. It's enriched by charms and a velvet flower. The price of about $1,991 actually proves that this is indeed a luxury. It may be hefty in pricing, but in exchange for that is an opulent purse that will keep you trendy and posh all through the season. 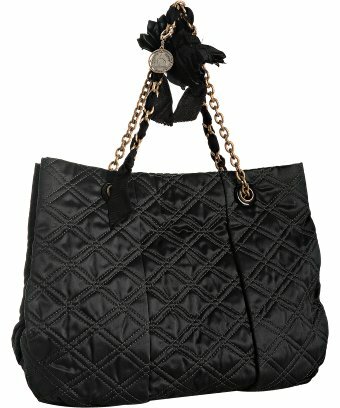 Quilted design already makes up for the classy look of this purse and of any other purses as well. Even if it comes plain with just that, it will still manage to bring luxe to the bag.